Many believe that giving the person a jewelry piece that contains their birthstone would bring that person protection as well as good luck which is why many would give their loved ones with birthstone jewellery pieces. Some would in fact commissioned jewellers to create collections or sets that complement each piece and selling it as one instead of by piece. For the month of January, the gemstone, garnet, takes a spotlight. 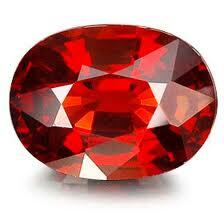 Garnet’s name was taken actually from the Greek word “Granatum” which literally means pomegranate seed. This is because the garnet resembles the color and shape of the crystal and as such, often reminds one of the fruit. The garnet’s beauty is often appreciated when it is cut into isometric, dodecahedron and rhombic cut. Myths and legends are popular and birthstones are not spared from it. Many myths surronds the stone but one popular one stood out concerning Hades and Persephone. It is said that Hades, the God of the Underworld offered the goddess, Persephone, with some pomegranate seed to ensure that the goddess will return to him. Garnet, which are often found to be of red coloring is the birthstone that said to help its wearer have a sense of awareness, insight and of commitment. The stone also helps removed negativity as well as the stone for regeneration. It is also said to help bring out the sensuality and the sexual awareness of the person. Now the birthstone is relatively associated with the color of red of which is actually due to the abundance of the red colored gemstone, however, other colors of gemstones do exist and the ones that fetch higher prices in the industry due to its rarity. Six types of garnets exist and named accordingly - Andradite – green to yellowish garnet, Ugrandite – green to yellow, Rhodolite – reddish to violet to pinkish coloring, Spessartite – orange to brownish, Almandite – reddish with brown undertone and Pyrope – intense reddish color. The colors of the stone vary due to their exposure to minerals such as chromium, manganese and iron.